Pollution not only affects health but skin and hair as well as it can cause uneven skin tone, dryness, dehydration, wrinkles, dark spots, sagging and a deterioration of collagen. Anti-oxidant treatments, regular exfoliation and scrubbing can do the trick in good way for you in this weather. * You need to pamper the skin and hair by cleansing, toning and then moisturizing to soothe the skin and make it feel less heavy and more calm. Nourishing is required for hair in order to get rid of frizz and dryness caused. * Look for anti-oxidant treatments and spas that work as hydrating agents for hair. One way to prevent surface skin damage from free radicals is through antioxidants because they prevent them from potentially causing signs of ageing in the body. An example of a good hydrating spa therapy is the Moroccan Oil Spa which is infused with antioxidant-rich argan oil and vitamin E and helps to repair the damaged hair. It also helps to strengthen the hair and deeply moisture it from the follicle to the tip. * Use an anti – pollution spray for your hair before going out. For skin also you need to have good protection by applying sunscreen, aloe vera gel and other skin protectors which laminates your skin and form a protective layer. It locks your skin for 6-7 hours and helps to control damage from pollution. * Polluted and contaminated water along with shampoo, sprays, setting lotions, and over drying process damage the hair. 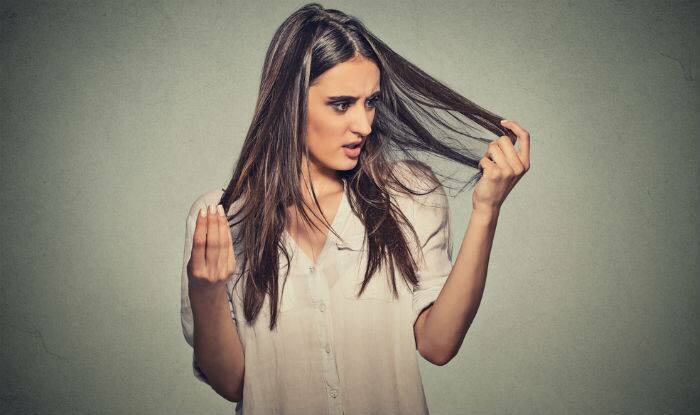 Polluted and contaminated water forms a mineral layer on top of the cuticle, leading to less flexibility of the hair and the ends becoming dry. It can also lead to premature graying and balding. Hence, choose products and treatments which contain natural oils and moisturizing agents like rosemary, amino acids, and sea algae which is rich in protein. * Regular exfoliation and scrubbing, applying glow pack is also necessary to keep skin hydrated and rejuvenating. Homemade packs can also be great to fight with the toxic pollutants when you move out. * Anti-pollution skin care regime is on the rise, with people looking for oxygen facials to deal with rising pollution levels. The oxygen facial delivers oxygen to the deepest layers of the skin. Not only do you get the life-restoring powers of oxygen, but the facial promotes hydration and delivers essential antioxidants, nutrients and botanicals to your skin. *Sometimes due to pollution, skin becomes oily, agitated and congested. Charcoal treatment is the perfect solution for congested skin suffering from environmental pollution. Activated charcoal draws bacteria, chemicals, dirt and other micro-particles to the surface of the skin, helping you achieve a flawless complexion. It is also very effective for treating and managing acne.